The Minnesota Astronomical Society would like to invite you to attend the Astronomical League’s Astronomy Day activities at the Eagle Lake Observatory in Baylor Regional Park. Speakers are scheduled throughout the day and will give talks on astronomy and what there is to see. Door and raffle prize drawings will be held Saturday evening and include MAS merchandise, astronomy books and telescopes. Weather permitting, the evening will conclude with tours of the night sky and of course stargazing. 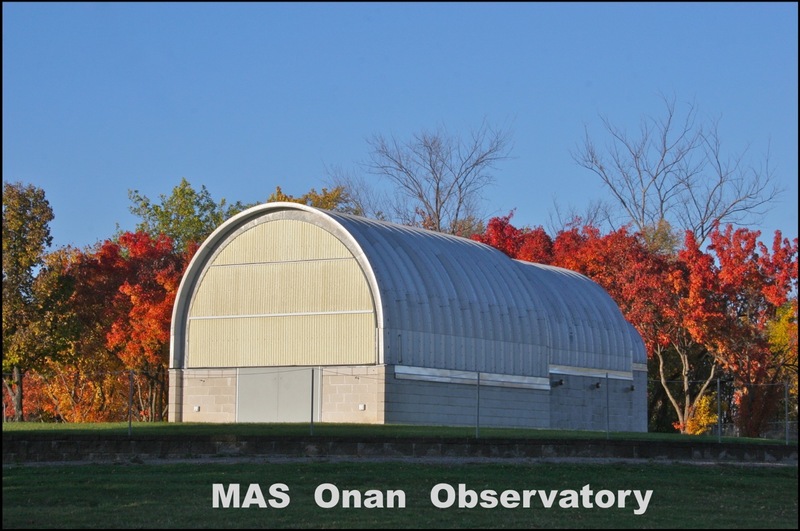 The observatory will open at 1:00 pm for some solar viewing as well as other bright daytime objects, Venus, the Moon, Jupiter and maybe Mars and Mercury. In the evening we’ll have some of the winter and early spring objects coming into view including the Orion Nebula, Crab nebula and Hercules cluster among others. Topping off the evening we should be able to see comet Lovejoy as it is heading out of the inner solar system and everybody’s favorite Saturn, which rises at 10:20 pm for those staying a little later. Come get excited about science! Colin Kilbane, Science teacher and senior Mad Scientist for Mad Science of Minnesota will give you the chance to participate in some serious science fun. Catch cloud filled bubbles, watch colorful chemical reactions and we may even launch a rocket! This interactive show is fun for kids of all ages! Make a Sky & Telescope “Star Wheel” and learn how to use it. These star computers can show you what the sky looks like at anytime during the year, and they never need a battery. “How We Found the Universe.” Early naked-eye interpretations, ancient stone observatories, development of the telescope, early attempts to understand the cosmos, star maps, drawings, early photography through the 200″ Hale Telescope at the Palomar Observatory and the realization that there are “island universes” beyond our Milky Way. “25 Years of Hubble” – April 24th marks the 25th anniversary of the launch of the Hubble Space Telescope. In this presentation MAS member and NASA/JPL Solar System Ambassador Dave Falkner will explore the trials and triumphs of NASA’s first Great Observatory, and reveal a compendium of some of the greatest imagery the universe has ever known. It’s a celestial silver celebration! Dave will also have a poster with the 25th Anniversary Logo and an exploded view of the telescope he’ll have on display. Ron Schmit will give a laser guided constellation tour of the night sky (weather permitting). If weather is not permitting, Ron will give a virtual tour of the night sky in the HotSpot Classroom. 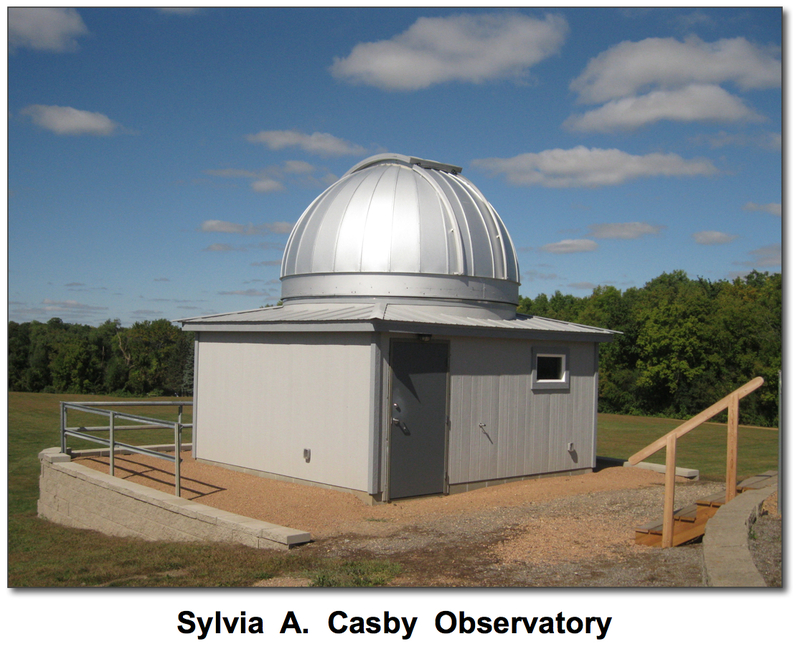 Consisting of the Onan Observatory, the Sylvia A. Casby Observatory and the HotSpot Classroom, the MAS’ Eagle Lake Observatory is the regions premier all-volunteer public observing facility. Two observatories with more than a dozen of the finest amateur telescopes available to view through. Real-time video viewing capabilities for lunar, planetary and deep-sky viewing. Solar filters allow safe viewing of the Sun’s surface, sunspots and solar prominences. Mounted 15×80 binoculars for the ultimate “wide-field” stargazing experience. 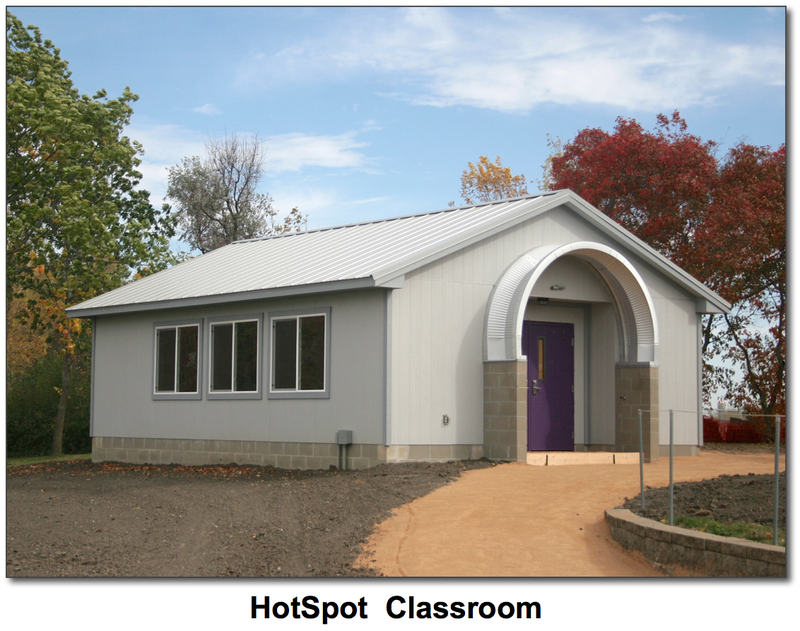 A heated classroom to take the chill out of the cool spring nights. Electrical outlets on the outside of the buildings for those who bring their own scopes. Paved handicap parking adjacent to the wheelchair accessible observatory. Baylor Regional Park is roughly 25 miles southwest of the Eden Prairie, MN and just north of Norwood-Young America. It is easily reached either by Minnesota Highway 5 or U.S. Highway 212. Click HERE for interactive map. The theme of Astronomy Day is “Bringing Astronomy to the People”. This worldwide event invites astronomical societies, planetariums, museums, and observatories to sponsor public viewing sessions, presentations, workshops, and other activities to increase public awareness about astronomy and our wonderful universe. Astronomy Day was born in California in 1973. Doug Berger, then president of the Astronomical Association of Northern California, decided that rather than try to entice people to travel long distances to visit observatory open houses, they would set up telescopes closer to where the people were – busy locations – urban locations like street corners, shopping malls, parks, etc. His strategy paid off. Not only did Astronomy Day go over with a bang, not only did the public find out about the astronomy club, they found out about future observatory open houses. Since the public got a chance to look through a portable telescope, they were hooked. They then wanted to see what went on at the bigger telescopes, so they turned out in droves at the next observatory open house.